1 What Is Spinal Cord Stimulation? If you suffer from chronic pain that hasn’t responded to other treatments, a spinal cord stimulator could help. Spinal cord stimulators are devices that deliver low-level electrical stimulation to block pain signals. They’re considered the “pacemakers for pain.” And, although the stimulator may not provide pain relief in all cases, previous literature has demonstrated that approximately one-half of all patients who use a trial spinal cord stimulator report significant pain relief. Over 70% of patients who used an implanted spinal cord stimulator for neuropathic pain reported pain relief benefits. Spinal cord stimulation is reversible, safe, and effective. It can manage specific types of chronic pain that has not responded to other treatment modalities, such a medications, steroid injections, or physical therapy. Intractable pain, chiefly from neuropathic origins, responds favorably to spinal cord stimulation. Lesions on the central or peripheral nervous system can cause dysfunction and result in chronic neuropathic pain. Using spinal cord stimulation for the management of this type of chronic pain has been effective for many patients. Spinal cord stimulation consists of inserting a medical device near the spinal cord that delivers low-level electrical impulses to the epidural space. These low levels of electrical impulse are the basis of signals sent through the body’s neurological system. Often these devices have a hand-held regulator you can use to send pain-blocking signals to the spinal cord as needed. Your goal is to override the pain signals the brain would be receiving from the peripheral nerves. The type of pain that originates from the spinal nerves is usually associated with damage caused by an inflammatory response or injury to the peripheral nerves. Stimulation at the spinal cord can correct these impulses and may effectively help to manage your pain levels. The procedure is regarded as effective, reversible, and a safe treatment option for chronic pain as a result of neuropathic disturbances. Previously, studies have examined the effectiveness and found that over 70% of patients who used spinal cord stimulation after the trial period for their chronic neuropathic pain reported continued benefits from the device after a one-year follow-up. Scientists estimate that approximately 14,000 of these stimulation devices are used every year for the treatment of chronic pain worldwide. Chronic pain is a condition experienced by more people in the United States than diabetes, heart disease, and cancer combined, according to the National Institutes of Health. Cited as the most common reason that people contact their healthcare provider, pain is the leading cause of disability and chronic pain is the leading cause of long-term disability. It’s why another option for pain management–spinal cord stimulators–are such an important treatment. Estimates of the prevalence of chronic pain disorders in the United States have been as great as 30%. The Institute of Medicine estimates that nearly 116 million U.S. citizens suffer from one type of chronic pain condition. This is only slightly lower than the 19% of people in 15 European countries who reported suffering from pain for greater than six months. Chronic pain often lasts longer than 12 weeks and usually after the normal healing process for the injury has passed. Chronic pain can result from an injury, illness, diseased tissue, or there may be no identifiable cause. It can limit the ability of the individual to complete their activities of daily living and create an environment where consistent mood changes become normal. Chronic pain, though, isn’t normal and there are treatments that can help. A spinal cord stimulator is one of the more advanced and effective options for pain management. The rise of gate control theory of pain began the research that resulted in neurostimulation treatments for chronic pain. In 1965 Melzack and Wall proposed that the dorsal horn of the spinal cord would act as a “gate” to sensation carried to the spinal cord through the peripheral nerves. The theory that this gate could be closed or interrupted with the delivery of other electrical impulses to the peripheral nervous system formed the basis of spinal cord stimulation. This interruption in pain signals could effectively control the perception and sensation of pain. From there it was suggested that embedding a stimulation device into the dorsal column of the spinal cord would deliver these electrical impulses and disrupt the delivery of the signal to the brain that indicated pain. 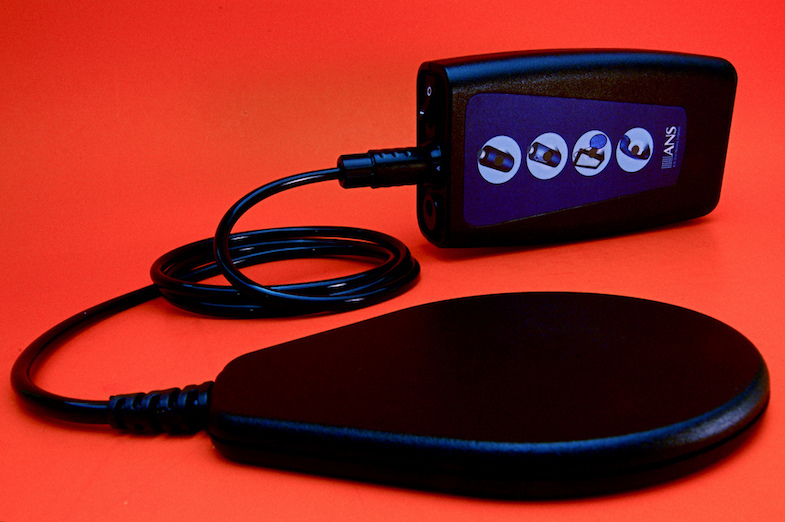 In 1971 the first spinal cord stimulator used in the epidural space was used successfully to treat intractable pain. The effectiveness of neurostimulation is well documented, although the exact mechanism is not fully understood. It was initially developed on the basis of the gate control theory for pain. However, that theory remains a theory without a full explanation of the exact modality of action. A small number of research studies have attempted exploration of the theory without any conclusive findings. It is believed that there are several different factors working together that would explain the assistance of spinal cord stimulation in the treatment of intractable pain. 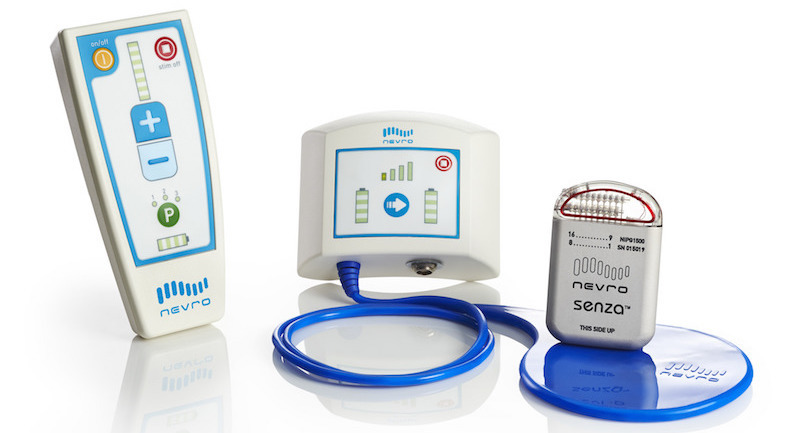 Much technological advancement has been made since the development of the stimulator in the early 1970s that improved the effectiveness of the procedure in relieving and reducing neuropathic pain. In the original procedure to place the spinal cord stimulators, electrodes were positioned in the subarachnoid space. This is the space between the arachnoid and pia mater membranes that protect the brain, also known as the meninges. Changes were made in the 1970s when new electrode placement made it feasible to be located in the epidural space, outside the protective membranes that surround the spinal cord. The changes reduced the risks with spinal cord stimulator implants, such as leakage of the cerebrospinal fluid, infection, or inflammation of the meninges. The usefulness of treatment is based on different factors, such as the pain doctor’s expertise and training. Prior to evaluation for a spinal cord stimulator, patients should research their pain doctor to find those who are highly-skilled in pain management and have the appropriate training to properly insert a spinal cord stimulator. Specific pain episodes will also play a part in determining the efficiency of the chosen intervention. For this reason, a thorough report of the duration of your symptoms and underlying medical issues can have an effect on the effectiveness of your spinal cord stimulator. This is because the goal is to provide relief from chronic pain. The use of a spinal cord stimulator is not to treat the underlying cause, but to treat the symptoms. It should be used only after trying other less-invasive pain management methods. But, because spinal cord stimulators effects immediate relief, patients often experience radical improvements in their ability to perform daily living skills, when used appropriately. With an increased control over symptoms, many patients are able to return to activities of daily living and work that they had been unable to perform prior to the start of symptoms. One of the major benefits of pain relief is not only the patient’s experience with a reduced level of pain, but also a reduction in impairment and disability. This also includes emotional and psychological benefits from reduced pain stimulation that has resulted in depression or anxiety. Some individuals who took a leave of absence as a result of their chronic pain can go back to work after an effective spinal cord stimulation procedure. Returning to usual activities can result in improvements in the patient’s associated mental and emotional distress. Patients often report fewer difficulties with depression and anxiety, which scientists know reduces the effectiveness of the immune system. Thus, a reduction in pain also improves overall health. Stimulation of the spinal cord involves using electrodes that are explicitly designed for use around the spinal cord. During the procedure to implant the electrodes, a stimulation device is also implanted. Patients and pain doctors can choose from a transcutaneous or fully implantable device for the spinal cord stimulation. Each has advantages and disadvantages for the patient. The transcutaneous stimulator device is implanted just under the skin. The device is connected to an electrode that is located adjacent to the spinal cord for electrical impulse stimulation. This is the oldest type of device that is being used today and is preferred when high currents are required for chronic pain management. The devices, which are fully implantable, generate their impulses from a battery and are programmed using an external device. The batteries require changing every two to five years, depending upon the frequency of use. Patients often report a preference for the implantable device since the coils to the electrodes are not visible. The transcutaneous device requires positioning the transmitter coil correctly to send power to the stimulator device in order for it to work. Some patients have difficulty with this positioning, which reduces the effectiveness of the device when it doesn’t deliver the impulse to the electrodes. At this time there are two different kinds of electrodes used in spinal cord stimulation devices for both the percutaneous or surgically implanted electrode. The electrodes used for the percutaneous device are cylindrical and roughly 1.3 mm in diameter. They have four to eight thin platinum rings that are generally 3 mm long, which are attached near the end. The electrode used for the surgical plate also have four to eight platinum contacts attached on one side, but are paddle-like in shape. Although scientists have experimented with the size of the contacts over time, the size of the plate itself is usually 8 mm wide. The tips of the electrodes for both the surgical and percutaneous electrodes are connected to thin flexible wires to reduce the potential for tissue damage during placement. If the trial spinal cord stimulator provides the patient relief from their chronic pain, then a more permanent device can be implanted. During the procedure to implant the stimulator, local anesthesia is used for the placement of the electrodes within the dorsal epidural space. Physicians ensure proper placement of the device using X-ray or fluoroscopy using a cannula. Placement of the surgical electrodes for the fully implantable device is more difficult to place. The paddle-like electric plates are implanted under general anesthesia and require addition into the dorsal epidural space using a laminectomy. During this minimally-invasive surgical procedure, two small incisions are made along the midline of the back to the right and left of the area where the electrodes are to be placed. The lamina is removed and the electrodes placed in the epidural space just outside the protective membrane of the meninges. The area these are placed will correspond to the reported location of the pain and the location verified by the patient through trial screening. During the process the pain doctor sets the amplitude of the electrical impulses based on the threshold for the patient’s awareness of pain and relief. During the spinal cord implantation procedure, the pulse generator is also placed. With the new accessibility of rechargeable devices, patients have several choices to decide which works best for them and their current lifestyle. Rechargeable batteries will require that the patient spend roughly two hours each week charging the device. The pulse generating device is implanted under the skin in the posterior gluteal or lower abdominal region. This gives the patient access to the device for recharge or in when they would like to make adjustments to the settings for pain management using a remote control. The spinal cord stimulator is usually connected to the hand held device with wires so the patient can activate pain-blocking electrical impulses as needed. A doctor from Arizona Pain walks you through this procedure step-by-step. The cost of a spinal cord stimulator will vary depending on your local prices, the pain doctor you visit, and your current insurance coverage. However, studies have evaluated the cost effectiveness of these devices to determine whether the procedure is a good alternative to other traditional methods of pain treatment. In one study, the researchers examined spinal cord stimulators in a population of individuals who suffered from chronic back pain as the result of a failed back surgery. Results indicated that the stimulator resulted in almost $10,000 in savings in an average annual cost over the course of five years, when compared to the control group. No patients in the control group return to work, while 15% of those who used the spinal cord stimulator did. Patients can expect to undergo a complete assessment of the types of pain and treatment attempted prior to prescribing the use of a spinal cord stimulator. While there are a number of different conditions that can be expected to achieve good results with the stimulator, the assessment is necessary to rule out the potential for other more conservative treatments. It is vital that you report symptoms accurately and report any other symptoms or medical conditions. The information is used to determine the best treatment modality and to determine the exact placement of the electrodes during the procedure if your pain doctor does recommend a spinal cord stimulation device. Some of these other conditions may be a side effect of pain medication or can be a direct result of the experience of chronic pain, making it significantly difficult for patients to achieve a full night’s rest. There are several different kinds of spinal stenosis, but the areas of the cervical and lumbar spines are the most common areas affected. First line treatments include anesthetic injections given through the skin to the correct location to reduce pain. These can be into the epidural space or the cervical joint spaces. Examples include medial branch blocks. They often affect significant amount of pain relief for chronic pain from which patients report almost immediate results. In the case of severe or chronic pain, spinal injections may not produce the anticipated results. In this case, the patient may be a good candidate for a spinal cord stimulator to achieve relief. Patients suffering from chronic pain following back surgery may experience the pain as the result of scar tissue developing around the nerves in the epidural space. This is referred to as failed back surgery when the goal of the surgery was to relieve the patient of chronic pain. Other factors that can explain pain after a failed back surgery include herniation of the disc, altered joint mobility, or post-operative pressure on the spinal nerve. Patients with a history of emotional disturbances, such as depression, anxiety, or difficulty falling asleep or staying asleep have an increased potential for suffering a chronic pain condition after back surgery. Following a failed back surgery, patients may complain of diffuse, dull, or aching pain across the back or lower limbs. Other patients may suffer from stabbing pain, or sharp, pricking pain in the limbs. When other treatment protocols have failed to provide pain relief from chronic pain, failed back surgery patients may be good candidates for spinal cord stimulation treatments. Nina, a patient with lower back pain, talks about her experience with a spinal cord stimulator. This is an often-misunderstood problem that results in a chronic pain condition that is thought to be the outcome of wear and tear on the intervertebral discs. These discs often stiffen and wear down with age, which causes them to become irritated. This inflammatory process leads to pain typically experienced within the back or neck region. The pain from this condition can occur down the spine. However, in some instances, the pain is limited to the intervertebral disc that is affected by the degeneration. Symptoms may get worse with movement and generally include sharp, stabbing pain in the area or a more generalized widespread pain. Other symptoms that may be experienced by patients suffering from degenerative disc syndrome include tingling or numbing sensations. Patients who do not respond to the different treatment options currently available for the condition may be considered candidates for spinal cord stimulation. Patients who suffer from these conditions and who have not received relief from other more conservative treatment may be good candidates for spinal cord stimulation to achieve pain control with their neuropathic pain. Other neuropathic conditions that could respond favorably to spinal cord stimulation include the following. This is a neuropathic condition that commonly happens following an amputation of a limb. Once believed to be psychological in nature, phantom limb pain is now recognized by scientists to be a condition that originates in the spinal cord and brain. Currently, there is no specific treatment that achieves favorable results consistently for phantom limb pain, but theoretically a spinal cord stimulator could achieve significant reduction in pain because the origination of the pain is associated with the peripheral nerves and central nervous system. This is a neuropathic condition that results from deterioration of, or damage to, the central nervous system. The precise symptoms of pain will vary depending upon the injury the patient suffered. The most often reported symptom is burning pain, but a patient may also experience sensitivity to movement, emotions, touch, or temperature changes. Patients also report the sensation of pins and needles, spurts of pain, aching pain, pressure, and even constant piercing pain. Some patients have reported the pain sensation from the head to the toes. Supported by the association of the origination of pain with the central nervous system and spinal cord, these patients would also benefit from the use of a spinal cord stimulator device. Patients suffering from this condition should maintain blood sugar levels within normal limits to reduce the development of the condition and therefore reduce the amount of pain progression. Currently there is no cure for diabetic neuropathy. Current treatments are focused on pain management and patients with this condition have reportedly achieved good pain control using a spinal cord stimulator. This is another type of neuropathic pain that is believed to be a complication of the herpes virus. It can affect a variety of areas of the body. It is a complication from the virus that causes shingles or chicken pox and can result in chronic neuropathic pain. Often the symptoms are related to the area of the body where the original virus eruption started, but in some circumstances the pain has been reported to spread to other areas of the body. Symptoms include extreme sensitivity to touch or acute or chronic pain. Individuals suffering from post-herpetic neuralgia can be good candidates for a spinal cord stimulator in order to achieve chronic pain relief. Spinal cord stimulation is a beneficial treatment for many individuals who suffer from chronic pain conditions and is generally regarded as safe. There are very few reported risks associated with the implantation of a spinal cord stimulator. Serious complications are quite rare. Implantation of a spinal cord stimulator requires surgical intervention. However, it is minimally-invasive and can often be completed on an outpatient basis. Using a trial test to ensure that the patient will benefit from the device and that the condition will respond favorably to the stimulator, allows both the patient and physician to move forward with this treatment protocol with greater confidence. Using a test procedure will also reduce the potential that a patient will experience negative side effects with a permanent implantation. Spinal cord stimulation devices also do not keep a patient from participating in recreational activities, exercising, or even swimming. This is because the leads are under the surface of the skin and protected from the environment. Spinal cord stimulators are easily removed if the device is no longer effective or the pain condition has resolved. Use of spinal cord stimulation is regarded as safe for many individuals. There are very few contraindications for the procedure, although it is not recommended for individuals who may be pregnant or become pregnant. Thus far, the safety of the procedure has not been clinically tested on individuals who are pregnant. Some individual have experienced long-term benefits and relief, while others have not. With the understanding that the procedure is safe and can be done on an outpatient basis, patients who do not achieve results and long-term relief from their chronic pain, or experienced adverse effects, are able to have the device quickly removed. Any surgical procedure carries with it a risk of infection at the site of the installation and risk of anesthesia. Although rare, the implantation of a spinal cord stimulator also carries a risk of scar tissue buildup at the location of the wire, risk of spinal fluid leak, and risk of infection. Depending upon the proximity to the nerves, scar tissue can cause pain and inflammation. Failure of the device can occur if it does not cover enough of the area controlled by the defective nerves. In some cases the spinal cord stimulator will fail if the electrical signals produce other than pain blocking impulses, which can cause a lack of sensation or nerve damage. Individuals who have used a spinal cord stimulator should not use diathermy procedures, such as shortwave diathermy, microwave, or therapeutic ultrasound diathermy. While the device is implanted these procedures can cause significant tissue damage and may even lead to death. The energy from the diathermy procedure can be transferred through the spinal cord stimulator and delivered to the patient. The use of this procedure in patients under the age of 18 has not yet been evaluated. For the safety and effectiveness of the procedure in a pediatric population, more research is needed. Chronic pain conditions are very common and considered a serious public health concern. While there are a number of treatments available, it is recommended that patients first attempt more conservative and traditional forms of pain management for their chronic pain prior to using a spinal cord stimulator. Individuals who suffer from intractable pain may require more aggressive and long-term forms of treatment, though. In order relieve debilitating symptoms and improve relief from chronic pain, spinal cord stimulators can achieve positive results. There is evidence to suggest that spinal cord stimulation will provide relief to individuals who suffer from unremitting chronic pain. It is particularly effective in the case of neuropathic pain, with over 70% of patients finding relief. Although it is more invasive than other more traditional and conservative medical procedures, such as nerve-blocking injections, over a long period of time for treating intractable pain, it has been shown to be more effective in reducing a patient’s chronic pain. Implanting a spinal cord stimulator involves a surgical procedure. It is considered generally safe and is done on an outpatient basis. Spinal cord stimulation may change the future of treating chronic pain. Further studies continue to provide evidence of positive results using electrical impulses to the spinal cord for pain relief. If you’re interested in learning more about using a spinal cord stimulator for your pain, click the button below to find a pain specialist in your area. Bendersky D, Tampolsky. Is spinal cord stimulation safe? A review of its complications. World Neurosurg. Sept 2013;18:1-10 [Epub ahead of print]. Deer TR, Skaribas IM, Haider N, et al. Effectiveness of Cervical Spinal Cord Stimulation for the Management of Chronic Pain. J International Neuromodulation Soc. Foreman RD, Linderoth B. Neural mechanisms of spinal cord stimulation. Int Rev Neurobiol. 2012;107:87-119. Freeman JA, Trentman TL. Clinical utility of implantable neurostimulation devices in the treatment of chronic migraine. Med Devices. 2013;6:195-201. Frey ME, Manchikanti L, Benyamin RM, Schultz DM, Smith HS, Cohen SP. Spinal cord stimulation for patients with failed back surgery syndrome: a systematic review. Pain physician. 2009;12(2):379-397. Kumar K, Rizvi S, Nguyen R, Abbas M, Bishop S, Murthy V. Impact of wait times on spinal cord stimulation therapy outcomes. Pain practice : the official journal of World Institute of Pain. 2013;doi:10.1111/papr.12126. Lihua P, Su M, Zejun Z, Ke W, Bennett MI. Spinal cord stimulation for cancer-related pain in adults. Cochrane Database Systematic Rev. 2013;2. Logé D, Vanneste S, Vancamp T, Rijaert D. Long-term outcomes of spinal cord stimulation with percutaneously introduced paddle leads in the treatment of failed back surgery syndrome and lumboischialgia. 2013; doi:10.1111/ner.12012. Rigoard P, Desai MJ, North RB, et al. Spinal cord stimulation for predominant low back pain in failed back surgery syndrome: study protocol for an international multicenter randomized controlled trial (PROMISE study). 2013;14(1):376. Simpson EL, Duenas A, Holmes MW, Papaioannou D, Chilcott J. Spinal cord stimulation for chronic pain of neuropathic or ischaemic origin: systematic review and economic evaluation. Health Technology Assessment. 2009;13(17):1-154. Xie X, Cui HY, Xu S, Hu Y. Field distribution of epidural electrical stimulation. Computers in biology and medicine. 2013;43(11):1673-1679. Padwal J, Georgy MM, Georgy BA. Spinal cord stimulators in an outpatient interventional neuroradiology practice. Journal of neurointerventional surgery. 2013;doi: 10.1136/neurintsurg-2013-010901. McAuley J, Aydin Y, Green C, van Groningen R. Patients’ experiences with spinal cord stimulation for lumbar spondylotic pain: comfort at the implantable programmable generator site. Journal of neurology, neurosurgery, and psychiatry. 2013;84(11):e2. Wolter T, Kaube H. Spinal cord stimulation in cluster headache. Curr Pain Headache Rep. Apr 2013;17(4):324.